At the ’12th hour’, here is July’s DNA Activation visualization and affirmation! We’ve had an intense focus from July 7-9th with a higher dimensional mission to transform a ‘control hub’ of much influence in this galactic region back to the highest Light of Love, which completed yesterday in Earth time with a newly created Ascension Light anchored and flowing, which we’ll speak of soon (also see previous post). For today’s DNA Activation focus, the 10-7-10 gateway of 7th dimensional Divine Grace flowing through the ‘pillared rings’ of the twin 10s, this is a perfect moment to open to and breathe in this fresh new White Light of Ascension through our golden stars, so we’ll incorporate this in-flow today. The 10-7-10 is an energy of complete resurrection through the miracle, the deepest magic, of Grace. This energy of Grace is open to us all, in every moment…today it is especially aligned with Earth and our galactic region. So we’ll begin as usual, with focusing into your beautiful Heart. Breathe golden light into it and fill your Being with the eternal presence of your Inner Divine Self. Feel its infinite warmth and love, the Heart of Source that beats within all our hearts, pulsing pure love, joy and peace. Feel how the masculine and feminine energies within you merge into One. Feel your ‘higher self’ and ‘lower self’ now merge as One, unifying as your Inner Divine Self, a pure expression and extension of Source, across dimensions, and universes, into this Now. The light of the Golden Heart of Source is flowing through you, transforming your whole being into Unconditional Love. Breathe into it. Feel the gentle, everlasting rhythm flowing through you. It IS us all. 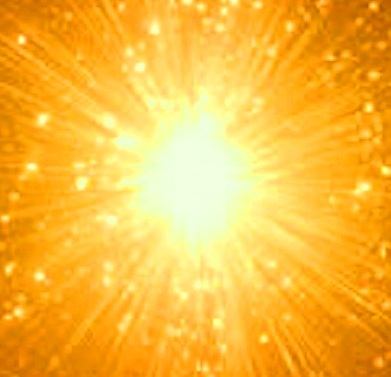 When this feels steady and strong, in pure love for yourself and All, continue now with the Golden Stars Visualization. Fully restored in the sacred merged Light of Love and Life, I Am in Oneness with all Life everywhere. The ‘AMness’ flows freely through this open conduit and vessel, the ‘I’ is ‘We’…Source to Oversoul to Soul Aspect anchoring now the Ascension Light in this here and now moment, for All. In Love, In Grace, In Joy, In Divine Unity we Are, and All IS. And So It Is. It Is Done. 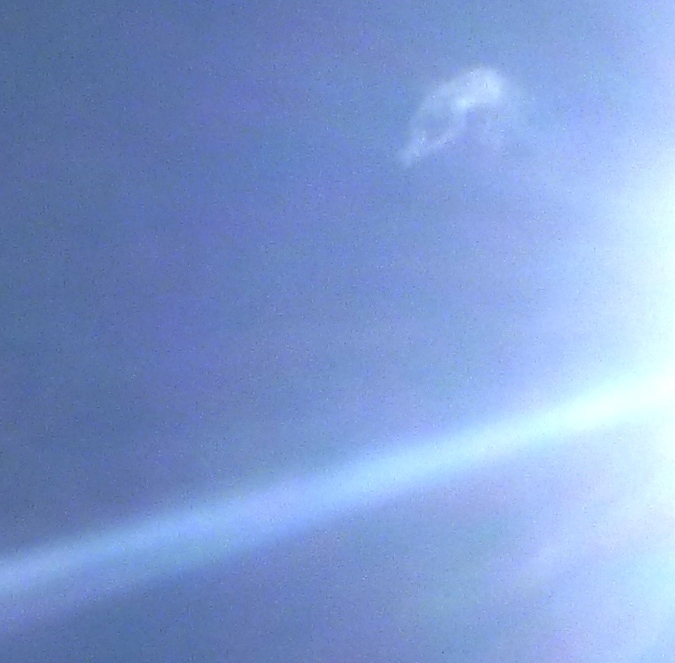 Ship appears as light refraction, symbolising pituitary chakra March, 2014. This ship is primarily Arcturian-Sirian, with some souls from other star systems on board. I had my first (consciously recalled) experience of bilocation onto this ship – just before falling ill six weeks ago – onto a bed in a healing room on the ship, where star family members were gathered around. I had a feeling of being ‘assessed’ and, a couple of days later when I became unwell, it became clear that they were assessing my capacity to ‘get through’ the energies I had elected to clear. (I have a higher dimensional soul aspect on board the Phoenix, Rowena, and do see/feel through her when focused IN with her, but that’s different to actual bilocation of my Earth self, Joanna). Their concern gave me a good boost of determination about the focus required, and they also gave some wonderful healing constructs to work with at different stages of the healing process, dovetailed with Higher Self’s guidance. 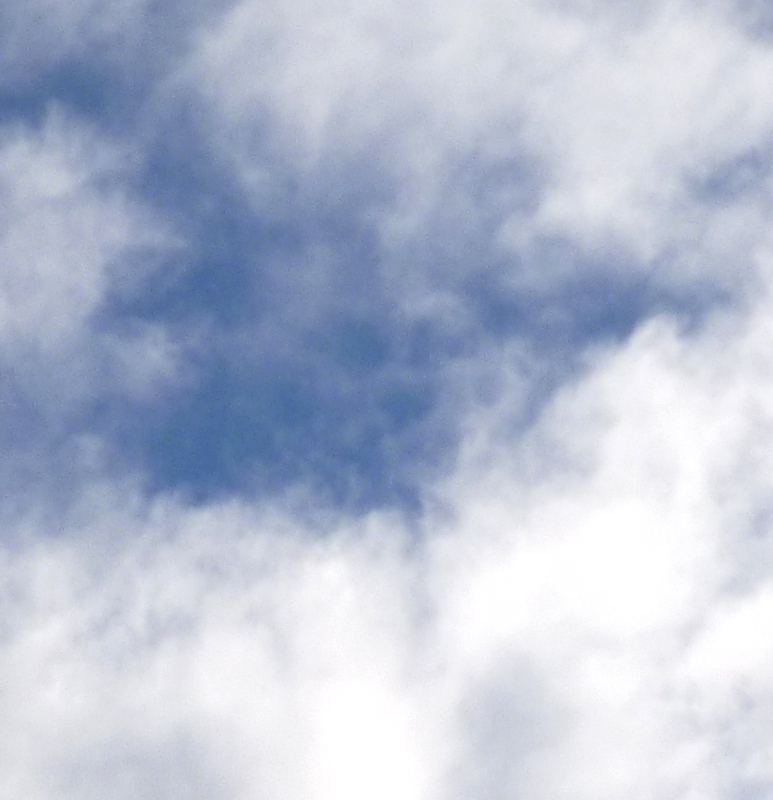 Lightship appears behind cloud, May 3, 2014. 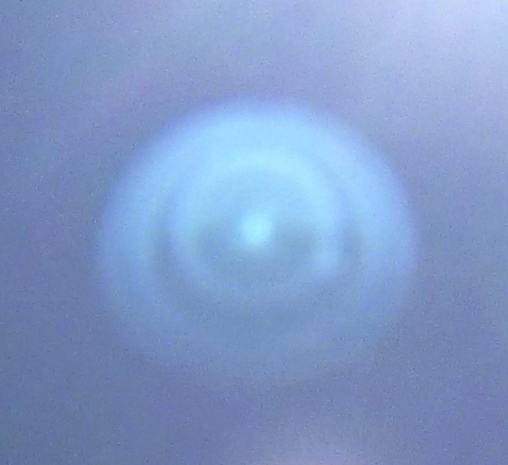 Rainbow rings appeared around the Sun, simultaneously with the ship, May 3, 2014. 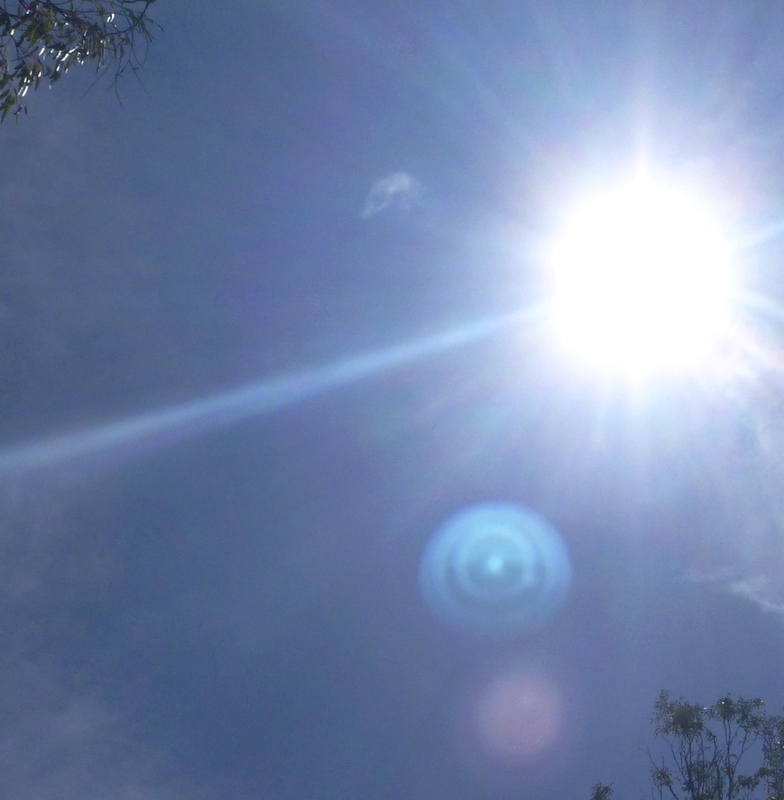 Feel/see the Central Sun that you Are, and the rings as your many dimensional forms or states of BEing….and remember, always in the Centre is Love, Source-connected Love, which powers all that you Are. Star family ask me now to speak about ‘contact’ and the invisible barriers some ‘ground crew’ and humanity in general are experiencing, including some who are eager for communication/meetings/sightings of their galactic families, and have asked, called, prayed, intended for contact. The reason contact has not happened yet on a wider, or indeed mass level yet, has to do with ‘sympathetic resonance’. The fact is Earth is not waiting for mass landings. People/beings (human and others) representing many wings of the Galactic Federation fleet are already here, in great numbers, all around the globe, in conjunction with people of the 5D Inner Earth: Extra-terrestrials, inter-terrestrials and multi-dimensionals. Higher/faster dimensions are an interconnecting confluence of ‘unity flows’, interacting seamlessly for the good of ALL, which is confluent with the well-being of every individual dwelling in those frequencies. Oneness means Oneness. It means Unconditional Love. A continuous sharing, interactive, harmonic, dynamic, constantly creative collective focus of peace, bliss, joy, well-being and lovingness within, and for all. That is how ‘they’ Are. Indeed, it is how ‘we’ Are, because there is no us and them, except through the split perception of duality. Once you’re in communication with them, perceptions through the ‘split’ filter fade away…or else contact fades away. Through the lower filter, star family cannot be seen/felt through true Unconditional Love. Why? Consider all the messages/channelings over the past few years/decades that have entrained human minds to ‘want’, ‘need’ or ‘expect’ something from the galactics; we need them to save us, rescue us from ourselves, evacuate us, hand us technologies; we need their help, support, advice, guidance; we need their attention, insight, power, protection. They are here, doing immense work to keep the planet stable enough while humanity goes through its processes toward Ascension (such as preventing nuclear war, and clearing chemtrails, cleaning up the negative network etc), and their guidance, support and streaming of Love is neverending…and if we can meet them in love and peace, without agendas, connections can be anchored, communications flow clear. ‘Wanting’, with tinges of fear, worry, need, frustration, distrust or limiting beliefs imprints conditions of the 3D survival/ego mind on the desire for contact, and that distorts the vibration we emit toward our families, which creates a mismatch of energies. There are control-oriented entities prepared to take advantage of that desire for contact when it is unconsciously mixed with lower mind distortions; if you wish to connect with beings of Love, then BE purest Love toward them, unconditional. Go into the Star of your Heart Centre, and feel the profound wonder, magic, joy and beauty of who/what they Are….let everything else dissolve away….and feel just as deeply the wonder, magic, joy and beauty of who/what you Are, a child of Source, as Source, just as they are, allowing Love to be your guide and relaxing deeply in your Being. Be aware that the subconscious mind can put blocks in the way of contact, because old programming carries karmic traces, fear, distrust and suspicion, which will vary from individual to individual. Ego’s attachment to 3D can also create barriers, as it resists connecting to that which will change its reality! So there can be blocks and layers to dissolve in order to anchor yourself and be at ease in a state that resonates with Beings of higher dimensions. They do not judge these blocks and layers. They understand and love deeply, all of us. They ask us simply to Centre in our hearts, to keep choosing that focus above all distracting influences; to keep the integrity of our own fields/aura strong and clear so that dense/illusional duality vibrations roll past us rather than sinking in and disrupting our inner balance and discernment; and they ask that we keep our three Centres – Earth, Heart and Star – balanced, as One. In that state, all energies are felt and known instantly, and the self-trust that comes with this opens doors to Light. I’d like to share two more photos with you. The first really made me smile, the ‘macro’ perfectly reflected in the ‘micro’ in this tiny nest that appeared outside the front door. The two eggs in it are gifts from my quail, Aquila. May the outer rings spiral deep into New Life in the Centre! 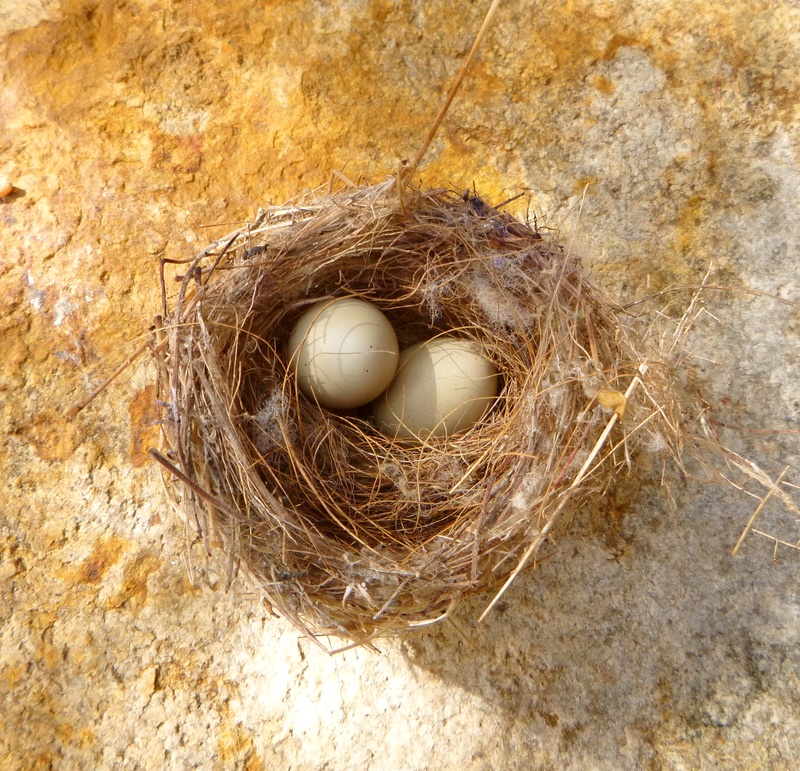 New life, photo May 4, 2014. Photo taken May 4, 2014. * If you’d like some practices for Heart Centering, Aura Integrity, and Balancing the 3 Centres, see this page. * For keeping your ‘inner communication lines’ clear, see the Blue Light Pillar practice on this page. We ask you to bring your vibrational feeling and Being into your heart. 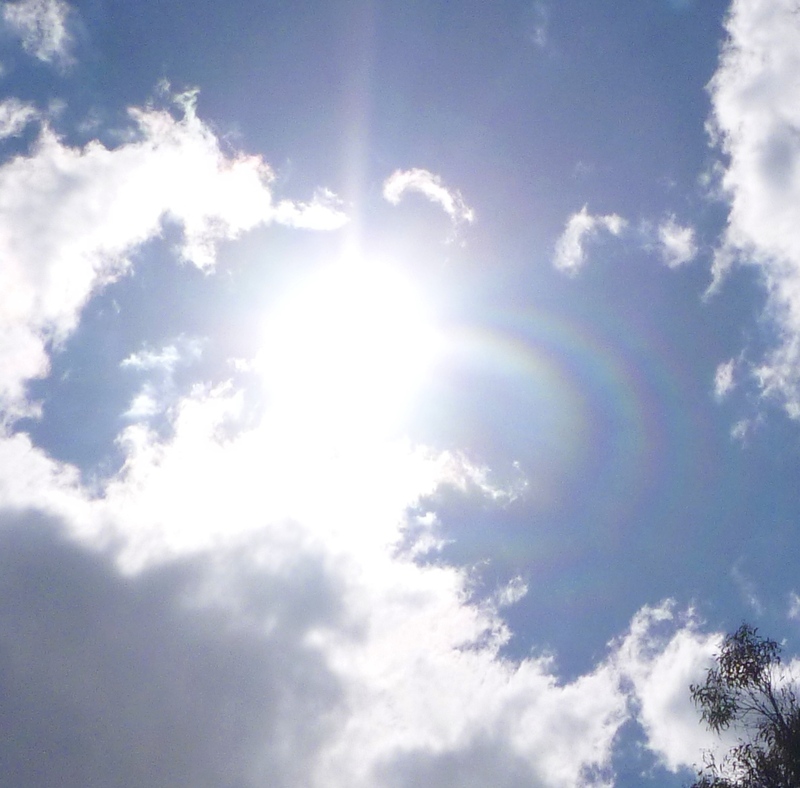 Feel your inner heart start to bring forth a bright white Light. See it as a little white light at first, then expanding. When it has become a ball of Light energy, blow it outward, like an exploding array of Light, expanding in all directions. Bring this Light from your Heart/Source, into and right through your emotional body of your cocoon of Light (the Aura). We would like you to envision your emotions/emotional body filling with photonic Light particles of energy, flowing outward from your Heart/Source, which is your own Star and Centre of Love. Hold your Light stream steady for about 3 minutes; keep sending Light from your Heart, pour Light outward in all directions and after 3 minutes return your focus into your Heart again. Hold this Love and Light with you ALL the time, dear souls. It is your REAL YOU. BE your Star. There is a toroidal energy field flowing through and around you constantly. When this energy field is filled with Golden Light, it steadies the vibration and strengthens the integrity of your field, amid the swirl of energies in this Earth plane. Golden Light transforms energies into Unconditional Love, so when the field around you is in the golden frequency, it aligns energies within and around your field into the pure, high light of Unconditional Love. 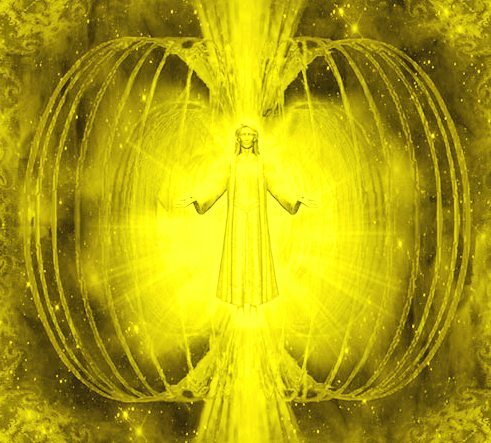 With your Golden Apple radiating around you, you are a ‘living transformer of energies into Love’ while in an earthly embodiment. Relax, breathing slowly and calmly. When you feel ready, inhale three times. Inhale pure life energy in toward your Root Chakra. This will start to slowly spin your Merkaba. With each inhale gently invite the presence of your Higher Self (Source Self) within your Heart, and feel this presence filling your Being. With each exhale relax, let go of all distracting thoughts, and Be in the Now. With the fourth inhale, envision Source sending you a golden stream of light and inhale it into your Heart Star in your inner Heart space. Feel and know the Source of All That Is is One with your Inner Source. When you feel the golden energy warm inside your heart centre, visualize it expanding outward all around your body. Let it expand until it completely fills your Auric field, like a big torus filled with golden light. Envision this Golden Apple around you from above your Star Centre (Soul Star Chakra) above your head, to below your Earth Centre (Earth Star Chakra), beneath your feet. With these Golden Crosses of Light I am held in the highest vibration of pure Love throughout this day and night and in every moment. All energies within and around my field continuously renew and transform into Unconditional Love, Light, Grace and Blessings. And so it is. With this Golden Rose of Light I am held in the highest vibration of pure Love throughout this day and night and in every moment. All energies within and around my field continuously renew and transform into Unconditional Love, Light, Grace and Blessings. And so it is. We also suggest a Golden Butterfly within the Heart centre, radiating through your Golden Apple, which aligns and enhances the vibration of Transformation…and adjust the affirmation accordingly. Just feel what resonates for you, and of course, all three can be visualized in sequence, whatever sings for you in any moment. Trust your intuition/heart’s inner sense. With love and thanks to Ashtar, Sananda&Lady Nada, Ashura&Irana. This practice unifies your three main energy centres and fills them with pure Love. It dissolves lower energies, releases blockages, and calms and aligns the three centres in equilibrium, as a Whole. Relax, sit comfortably, take in some deep relaxed breaths, and see/feel a ball of light in your heart centre, filled with pure love. Send this ball down to the core of the Earth ~ Gaia’s crystalline 5D heart ~ and wait for the love to be returned to you. Feel the flow of it come up through your feet and body, into your heart, with loving gratitude. Now send this ball of light filled with love upward to the centre of Source ~ and wait for the love to return to you, with total trust. Feel the merged energy of deepest Love fill your being. Now visualize a white water lily in your Sacral Chakra (Earth Centre), softly shining, bright and steady. 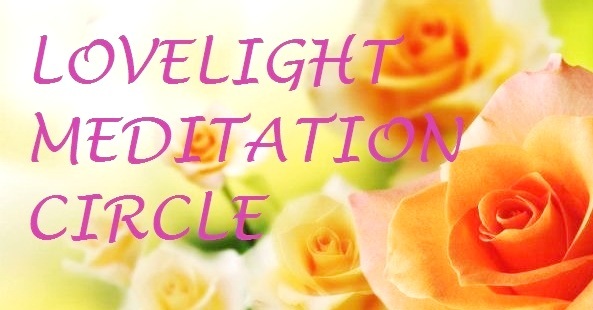 Then visualize a rose of white light in your Heart Chakra (Heart Centre), full of peace and harmony. Then visualize a white diamond in your Pineal Chakra (Star Centre), filled with pure steady clarity. Hold all three, feel the balance of your three centres, flowing as one, whole and unified, in a white sphere of light expanding around you. When your three Centres are steady with the White Water Lily, White Rose and White Diamond, open your chakras fully, so they can inhale this pure healing white Light. *From Ashura&Irana: To extend and deepen this unification of the three centres within your energy body as One, visualize or hold the intention of an Infinity symbol flowing form your Heart to your Earth Centre, back up through your Heart to your Star Centre, back to your Heart and so on, infinitely flowing with Rainbow Crystal Light. Following this, you can also extend this infinity flow as a Golden Light flow through your Heart Centre/Heart Star, Soul Star and Earth Star Chakras. (Soul Star is above your head, Earth Star below your feet, see Practices page for complete chakra diagram). Throughout this day and night, and in every moment through to personal and planetary Ascension, I Am a pure, steady, clear, free flowing conduit, pillar, anchor and vessel of the highest Love, Light, Grace and Providence flowing from the Heart of Source, through my Heart Star, to the Heart of beloved Gaia, in union with all Beings of the highest Love and Light, immersed in the Oneness of Divine Love. And So Be It. Today’s sharing is a communication about two ‘new’ chakras and their role in bridging the ‘gap’ projected by our 3D ego selves between higher and lower (faster and slower) frequency bands. Closing that ‘gap’ – which is an illusion, from a higher dimensional point of view – enables our innate ability to create in harmony with Source, to BE the conscious co-creative beings we truly are, and allow the higher vibrational reality to flow through us, into our Now! 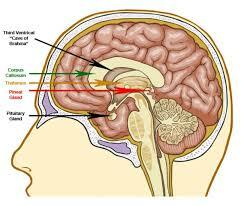 The cerebellum is the coordinator of movement, and regulates fear and pleasure. As part of the hindbrain, the ancient reptile brain, from a subtle perspective, it generates survival programming, repulsions and attractions, and instinctive reaction patterns. In the Duality reality, this programming served the purpose of keeping the ego self safe from harm while competing and moving toward its attractions. In Unity reality, ‘surviving’ (eat or be eaten) is superceded by ‘thriving’ (cooperative creation), where instead of compulsive or reactive response-making, expression flows from Being-in-the-well-being-of-All. The Well of Dreams chakra (a pink rose colour) ignites as a person’s consciousness moves toward Unity and basically has the power to overwrite the ‘old nightmare’ with a ‘new dream’ once it is functioning strongly and positively. 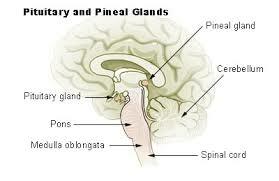 The pituitary gland is a continuous biofeedback station between the brain and the body, conversing with the entire glandular system through various hormones. The Pituitary Chakra (a sky blue colour), at the level of the eyes, can fine tune the whole physical and emotional being by transmuting conflictual energies from the hormonal stream, so it can flow with peace, freedom, and a refinement of its ‘truth’, uncoloured by habitual reactions. Now imagine the Pituitary Chakra and Well of Dreams Chakra forming a triangle with the Pineal Chakra (Third Eye). Can you feel the effect of this ‘triangulation’, its beautiful integrating Trinity of balance, clarity and harmony? 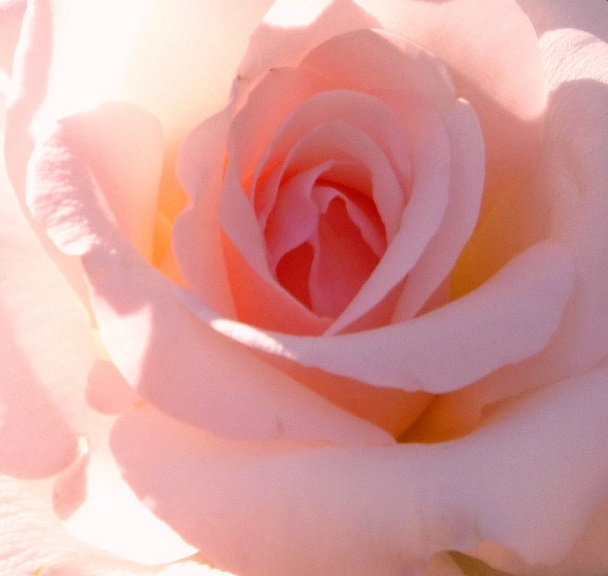 My 5D soul aspect (Rowena) brought through this information during meditation two days ago, with the image of a pink Rose opening in my Well of Dreams Chakra. I then started to see blue flashes between my eyes, which she defined as the opening Pituitary Chakra. 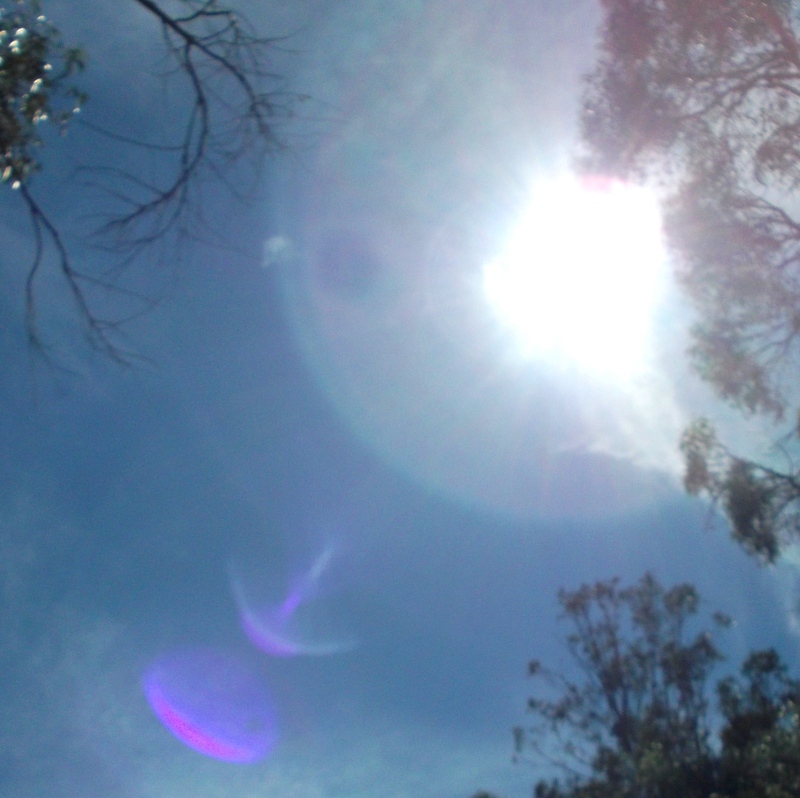 She worked with me further that night during a dream, and then sent a ‘visual message’ yesterday via the camera lens. In the photos below, she’s commandeering refraction to show the exact colours to use in the chakras, and their relative positions. in the first photo, she used an arrow, showing where to focus. (Her ship is the semi-decloaked white shape left of the Sun, with a darker round portal in between the ship and Sun). In the second photo, you can see the soft light pink of the Well of Dreams Chakra, and above it the blue-green of the Pituitary Chakra. Rowena explains the concentric rings in the visualization practice below. Activating and tuning these chakras, and connecting them as a trinity energy with the Pineal Chakra (Third Eye) can clear and align your Seeing, Visioning and Creating processes with your Higher Self/Source state, your Essence, rather than 3D wants and needs of the ego personality. It puts a different slant on ‘seeing the world through rose-coloured glasses’, doesn’t it? From that state of alignment, heaven flows into the box, and we are on the road to manifesting our new Golden Age…. Centre your attention in your Heart Chakra. Open it as a white star. Open the white star of your Soul Star Chakra, above your head, and the white star of your Earth Star Chakra, below your feet. Hold the three stars steady, and feel them align and balance with each other. Now open all your chakras from base to crown. With all the chakras open, visualize the Well of Dreams Chakra opening as a soft pink light in your hindbrain area. Hold the light steady, and imagine pure, warm love of Source building in the Well, flooding through it and dissolving all old, limiting programmes from your mental, emotional and cellular/DNA levels. Relax and bask in the warmth. If you wish, hold the image of a pink rose blooming continuously in the chakra. 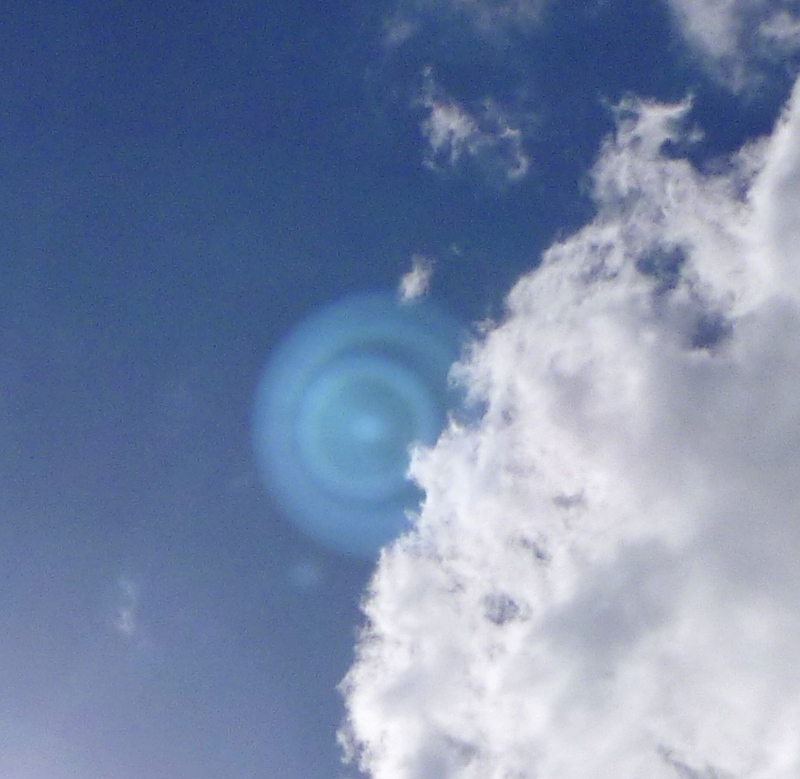 Now visualize your Pituitary Chakra as a sphere of sky blue light with a hint of aqua/green. Feel the calm clarity of this vibration pool in the chakra, then radiate outward in rings, as if you dropped a pebble into a pool. Let those rings of blue ripple through your body and auric field, easing, correcting and refining the chatter of your hormones into a single, unified Tone. The Tone of your Higher Self. Connect these two chakras to the violet light of your Pineal Chakra, and feel all shadows, distortions and limitations dissolve from your inner SEEing. Become the creative powerhouse of Love that you Are! We hail you in Oneness, anticipating the Now when our palms touch in Light. We love you All. If you need assistance with the above practice, Rowena is here to help, as are so many beings who love us. Just ask from your heart, for the highest guidance for and on your awakening path, that is in service to the Highest Love. Trust in your Sacred Heart, allow and connect. Note: It is recommended that before opening your chakras, or indeed going online, or engaging with other energies, that you always first look after your auric field, your personal torus. This is subtle self care, in the current flux of energies around us. I use the Heart Star and Golden Apple practices daily before opening the chakras. See the Three Foundational Heart Practices page for information about these practices.